Ultra Violet may be the 2018 Pantone Color of the Year but it’s not the only hue vying for our attention this season. Its pastel sister lavender is having a moment and hot pink and millennial pink seem to be everywhere we look — and hot on their heels is classic kelly green. The rich color has been spotted on the streets and the runways, often with the wearers clad in the color from head to heel. 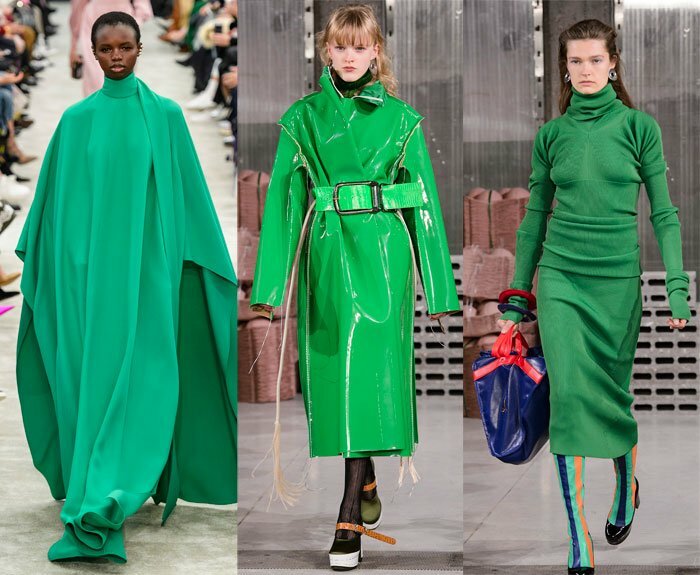 Brighter than emerald, deeper than lime and more intense than forest green, kelly green (or Kermit green) is a rich, bold shade that works for all seasons — which is likely why fashion girls are wearing the color now, after seeing it on the Fall 2018 runways. Preen, Marni and Valentino were a few of the designers who showcased vivid kelly green looks. When we say looks, we mean total head-to-toe green. 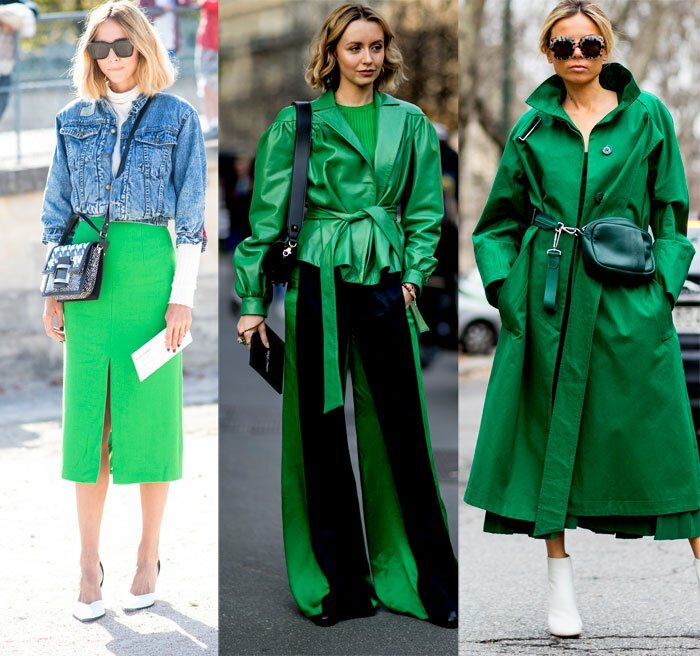 The choice is yours whether you want to take inspiration from the runway and try a monochromatic kelly green outfit or whether you want to mix a bright green piece with the rest of the colors in your wardrobe. With its vibrant finish, even the smallest amount of the vivid hue can make others green with envy (sorry). Similarly, know that once you try a bit, you will likely be on your way to full-on infatuation. Here are 14 kelly green shopping picks to freshen up your spring and summer look.